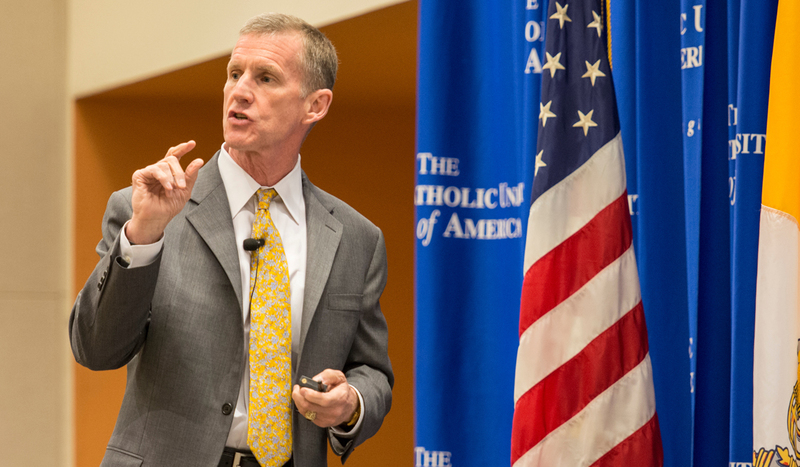 Have you ever wondered what it was like for General Stanley McCrystal to put his leadership into action on the front lines? Ever wondered how the culture at Southwest Airlines grew so strong? Ever contemplated launching a successful startup like HonestTea founder and CEO, Seth Goldman? The CEO Lecture Series provides that opportunity. Every semester, we invite reputable CEOs and inspiring leaders to speak to our student body. These high-profile individuals share how they achieved their career goals, as well as the twists and turns of business, faith, and family that accompanied them along the way. Our guest speakers provide opportunities for Q&A with the students and time to network after the presentation. The CEO Lecture Series is a glimpse into the many possibilities that are awaiting students upon graduation. Please visit again soon for additional lecture videos!